Imagine, if you will, that the Wright Brothers, before they lifted off in the first controlled, powered flight in human history in 1903, had been hamstrung by the same obsession with bureaucracy, legal liability, and risk management that afflicts modern America. In all likelihood, these aviation pioneers would never have gotten off the ground – or, if they had, their first journey would have been so micromanaged by desk jockeys, lawyers, and self-appointed experts that no one would have dared to soar like an eagle again. It would be nice to believe that the election of President Trump, and his various efforts to roll back unnecessary and burdensome federal regulations, would solve that problem once and for all, but of course that far from the case. The multiheaded hydra that is the federal government wants always to spread its tentacles outward, and it takes a remarkable and consistent effort even to slow its growth, let alone cause it to shrink. A related conundrum is now facing Congress, which, partly at the urging of trial lawyers, is considering a bill to extend the terms of the Muhammad Ali Boxing Reform Act of 2000 to mixed martial arts (MMA) competition. The logic is familiar: why leave well enough alone a hugely successful American enterprise, already regulated in all 50 states, when Congress could step in and do the job so much more cumbersomely? The means that are proposed to regulate the MMA are also wholly unsuitable: the Ali Act was designed to clean up a sport riddled with corruption, which no one suggests is a major concern in the Ultimate Fighting Championship (UFC), which is the largest single organization in the MMA universe. On the contrary, fairness and healthy competition are exactly what has propelled the UFC to unparalleled success: it is arguably the fastest growing sport in the world. This year its matches will be broadcast worldwide to 40 million viewers in 35 different languages. At the same time, mixed martial artists, both men and women, are increasingly gaining recognition for their talents, and many are becoming wealthy. This is another sense in which the Ali Act is ill-suited to regulating the MMA. 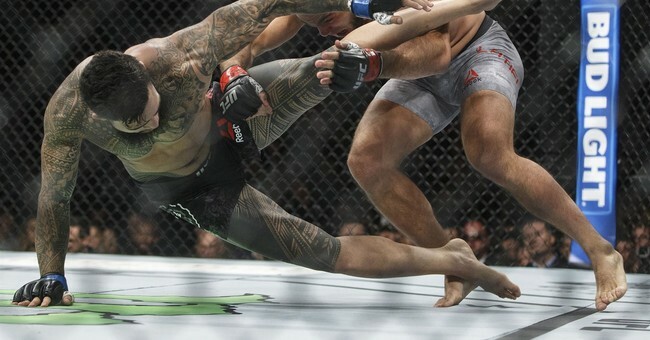 While boxing was in seemingly terminal decline at the point that the federal government intervened (ham-handedly) to “save” it, the MMA, on the other hand, is flourishing not only domestically but internationally, and thus federal meddling can only harm the sport. Such interference also threatens to politicize the MMA in the same way that the controversy over the national anthem has recently injected politics, of a particularly toxic variety, into the NFL. No one wants a repeat of that fiasco. In terms of safety, the MMA community has embraced the “Unified Rules of Mixed Martial Arts” to minimize the risks to which athletes are exposed. It has also invested heavily in research designed to improve athlete safety. In addition, the UFC has pioneered industry-leading anti-doping efforts, and it has evolved a rankings system that ensures that matches are as competitive as possible. A federal redesign of this system could destroy the competitive balance that makes the sport so thrilling for fans. In no sense, therefore, is this a sport crying out for federal oversight. The best and strongest reason to oppose the extension of the Ali Act to the MMA, however, is also the simplest one, from a conservative perspective: we always oppose the growth of government, and the stifling of liberty, because we view big government as anathema to innovation, entrepreneurship, and progress, while we view liberty as the foundation of the American way of life. Some people, it is true, view mixed martial arts as inherently dangerous, and they claim that the federal government needs to be involved in order to mandate improved safeguards. They are not wrong, in the limited sense that everyone agrees that organizations like the UFC and state athletic commissions need to do everything in their power to protect athletes, but they err in supposing that the federal government alone is capable of acting in the best interests of athletes and the sport as a whole. On the contrary, the federal government has shown itself to be uniquely inept when it comes to imposing cookie-cutter solutions on complex problems. That is why President Trump and his cabinet are working so hard to roll back federal regulations – because, much of the time, these regulations do more harm than good. Let us not, therefore, make the same mistake with the MMA that we have made in so many other walks of life. Let us not impose the dictates of the federal nanny state where the free market is working brilliantly as it is. Instead, Congress should allow private enterprise, sporting associations, and state athletic commissions to remain in control of this flourishing sport. Uncle Sam: you've got enough problems on your plate already. Leave MMA alone.